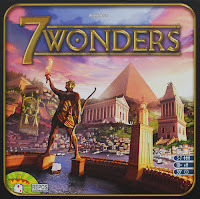 Best family game of the year: 7 Wonders - You can read more in my review of the game but this was an easy choice. Accessible rules, games in 30 minutes, endless strategies to try out, and scales amazingly well from 2 to 7 people. If you enjoyed Dominion at all, I imagine the speedy play of this fun, fantastic card game will also appeal. 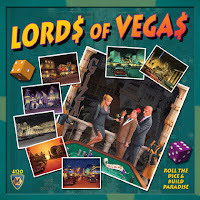 Almost best family game of the year: Lords of Vegas - Not many strategy games can have such crazy swings of luck and still be enjoyable for me. This one is. 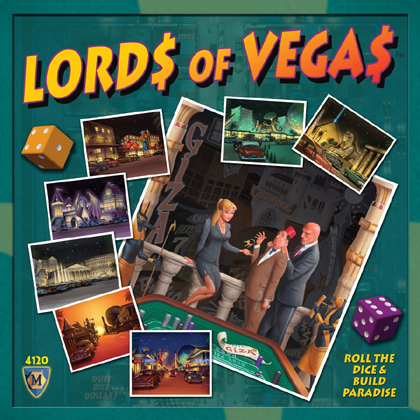 Maybe because it feels a bit like Acquire played in a high-stakes casino. 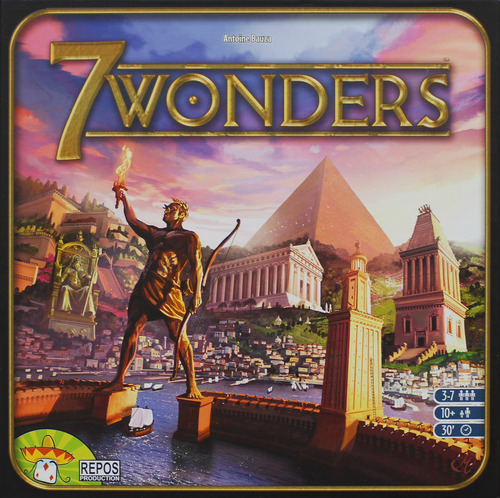 This one definitely doesn't have the staying power of 7W but the last couple games have been a hoot. 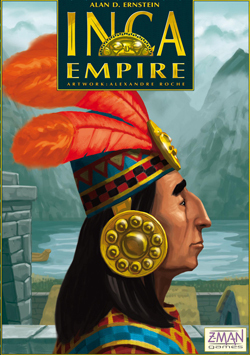 Best heavy game of the year: Inca Empire - I have to admit that I've only played this once due to the lengthy play time since our group doesn't usually last more than two hours anymore. But that one play of this reprint of Tuhuantinsuyu was a brilliant experience. The route-building that I love so much from train games combined with a clever, nasty action card mechanism to affect the other player's games make this a worthwhile purchase. This modern classic really is THAT good and deserves more recognition. 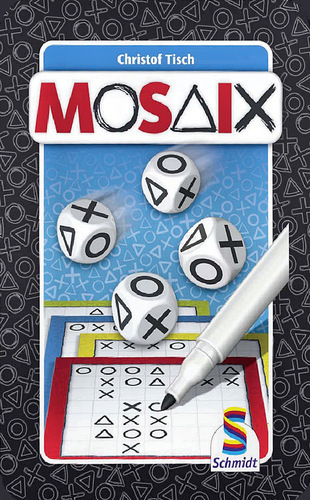 Best filler: Mosaix - Like FITS and Take It Easy meets X's and O's, this little game in a lovely tin case is seconds to learn but surprisingly challenging due to its extremely clever scoring mechanism. Grab a copy cheap and take it everywhere you go. Looking forward to playing some more of these games in the new year as the many companies move on from Essen and the Christmas season. I'm currently looking forward to reprints of Alien Frontiers and Scripts and Scribes (now Biblios) which should be arriving the first-quarter of this year. How did you only manage to play Agricola so recently? I haven't played it much this year, but it's in my top three favourites. Thanks for mentioning Mosaix. I'm always looking for new fillers. I have a good friend who is obssessed with 'Gric so we get together frequently for games. I need to find gaming friends here. I miss playing games. One of my favourites is Killer Bunnies. So silly, and so much fun. You have a friend who is obsessed with Agricola? I want to meet him. WikiHow marks an article as reader approved once it receives enough positive feedback. This article has over 753,121 views, and 100% of readers who voted found it helpful. It also received 32 testimonials from readers, earning it our reader approved status. It's silly, but I recall seeing a few suppressed smiles and subtle eye jesus shirts rolls from you during The Event, and I want to make sure you didn't mistake my proud prince t shirt pallor and moans of courage for something a little closer to cowardice. If for some reason you did write me off as "weak" despite my frequent and unmistakable declarations to the contrary, I'd like to take a minute to explain away each of the moments that may have seemed, from your perspective, particularly embarrassing for me. I can't blame you for getting confused, it was a mad three hours for all of us.